Godfrey (“Doc”) Daniels read about this booth in a brief letter to a zine editor, which contained its phone number (760-733-9969) and little else. He didn’t know where it was. He didn’t know if it actually existed. So he called it. No one answered, but he was undeterred. He continued to call and recruited his friends to do the same. The mystery became his obsession, and he started dialing the number several times a day, everyday. Then, after about a month of dialing, he got a break in the case: a busy signal. Frantic, Doc dialed back until he got the open line again, and this time, someone picked up: a cinder miner who had no phone of her own. They chatted for a while, mostly small-talk, and in his excitement, Doc forgot to ask where the phone booth was. Doc did eventually track the booth down and went for a visit. He even paged a friend for a callback so he could hear it ring for himself. That trip could have been the end of the story if it weren’t for the internet. The year was 1997, and the web was still relatively novel. Doc wanted to commemorate the time he spent devoted to this phone booth, so he created a webpage for it. And it totally took off. People sent him news clippings from international papers and magazines that profiled the phone booth. 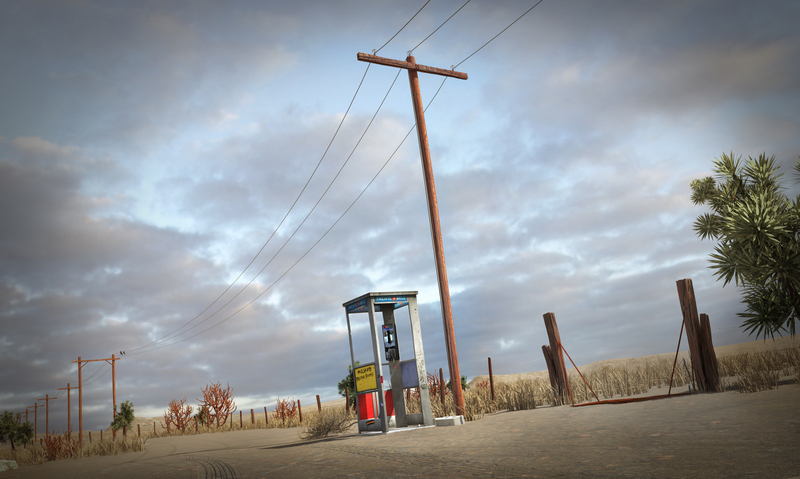 Doc and his friends returned a year later to the Mojave Phone Booth. And the phone, once silent, was now ringing off the hook. 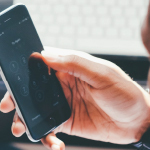 They would take turns answering it and talking with the the people on the other end–and the instant they replaced the receiver, the ringing would start again. The callers were just part of the equation. Travelers started making pilgrimages to the site of the phone and picking it up as well, talking to whomever happened to be dialing in for hours on end. Like some accidental prototype of an internet chat room, it became a place for anonymous interaction and unexpected conversations. While popular with callers and tourists, the phone booth, located on a nature preserve, was becoming a nuisance to the National Park Service. The booth rang constantly, disturbing the wildlife, and it brought in additional traffic as well. This obscure structure had exceeded its design intent and capacity, and was now too famous for its own good. The booth was removed in 2000, but people kept coming, treating the concrete slab where it once sat like a tombstone, leaving offerings in memoriam. Eventually, the slab was also broken up and removed, leaving no trace of the booth’s existence. Attempts to commemorate it with a plaque were also thwarted, time and time again. As a phenomenon, the booth’s popularity arose from a perfect storm of chance and timing, spurred along with a dash of obsession. 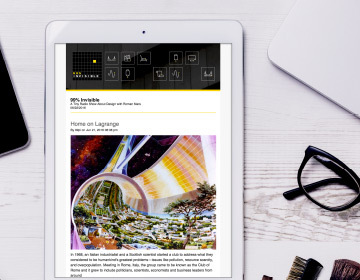 Had it made its online debut any later, the booth might have lost its novelty in our interconnected world or it might have been drowned out by the onslaught of other memes–any earlier, and the sparseness of the web would have limited its viral potential. In hindsight, Doc still wonders about his decision to give the booth a webpage, which led to its rise but also to its ultimate downfall. At the end of the day, though, it is because of that website that it became one of the only phone booths that people were sad to see go. To find out more, check out Adventures with the Mojave Phone Booth, or call the number for yourself and see what happens: 760-733-9969. Reporter Joe Rosenberg of Snap Judgement interviewed Godfrey (“Doc”) Daniels; special thanks to Karina Cleverly Roberto and Derek Roberto, makers of the documentary Mojave Mirage. 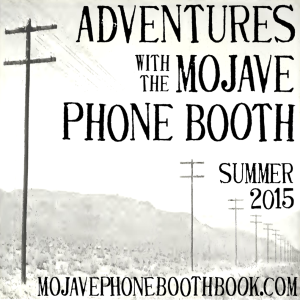 Doc’s book, Adventures with the Mojave Phone Booth (available for pre-order), was recently funded on Kickstarter; you can also visit the original homepage of the phone booth at DeuceofClubs. Sadly I got a recording that the line was a conference and to press 1 through 9 and then whatever I entered it hung up on me. The appeal of this phone booth was very much like the joy of “DXing” on ham radio, contacting unusual, usually remote, locations just for the sake of it. Occasionally a group will organize an expedition to a rare location. When they go on the air they will find a “pileup” of stations wanting to talk to them. Why? The thrill of talking to someone in a remote, exotic location. 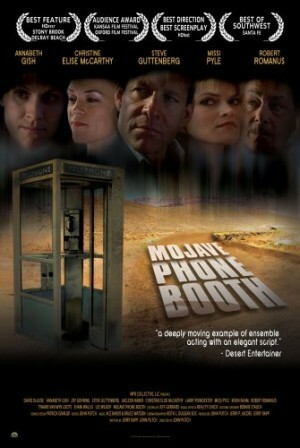 All the emotions expressed about the Mojave phone booth reminded me of my days in ham radio 30 years ago. Love your podcast, but a friend and I are wondering… Why is Jad Abumrad’s voice distorted and squirrely in this audio? Great episode! There is a song at the 3:30 mark that I am trying to recall the name of. Maybe it is Dan Deacon? 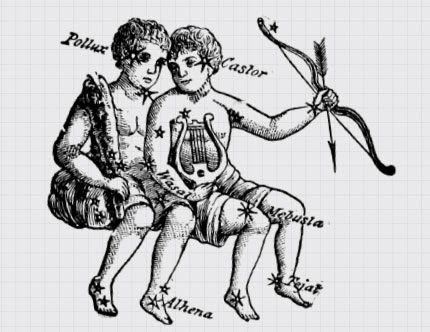 It doesn’t look like it is on the music credits…can you tell us what it is? 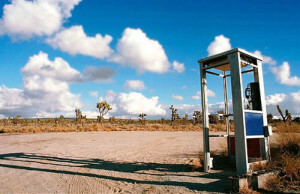 Just added the number to my contacts as “Mojave Phone Booth” I’ll never be bored on a road trip again. 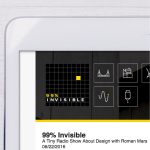 Why did you consider making a website for the booth as “very, very dangerous”? I know you’re supposed to be scared of everything nowadays, but this remark seemed just paranoid and annoying. Other than that great story. I wonder if the phone booth would have qualified as a Thomasson — useless and maintained — until it was removed. Just a heads up, there’s uncredited music in this episode. Dan Deacon near the end is one I noticed. Looking forward to seeing the others. Great episode. – what did Loreen do for a phone after the booth was removed? I do not know whether this is the same booth, but I thank you for reviving that memory. I called and the phone squealed at me! What’s the song that starts at 13:42? I know I’ve heard that song but I can’t remember where and it’s driving me insane. Unable to make it ring! Why did the interviewer inhale helium before asking each question? Is he in the witness protection program? I just wanted to let you all people know that as soon as I finished listening this episode, I called the Phone Boot Number, and I got to talk for while with a couple of people. Hey, anyone find or know the secret to this phone booth. Every time I call, I get a text stating”Welcome to the Mojave. The secret has been lost. Find it.”I am at a dead end, but I think you may need to put in a 2 or 3 digit code. Never mind my last comment, the phone ended up being used for the yearly Cicada 3301 contest and it ended up being step t in the competition. I’m not in this competition, but a lot of people are. It still works like normal but has a bit more traffic now, which is good in my opinion. I just got a text from the Mojave Phonebooth that reads..
“The end draws near… 2e59ec4fcc9ae44ae6ce1d9f07322371ebaee4ec2e2f3ccbc028f928eade0d9e”… Spooky!! Called from overseas. It rang, connected, and then I received a message saying the party was not accepting calls at that time. An unfortunate ending.